The Fortishred 3250HS is an 0.8x5mm Crypto Cut shredder and provides powerful, high security shredding for 10+ users in a shared working environment where employees handle high confidential information on a regular basis, i.e. in government department or military installations. This model features a continuous duty motor, meaning that it can be used at any time, regardless of how many people have used it beforehand, so sensitive information can be destroyed as quickly as possible. It can shred up to 6 sheets of A4 paper and features a large 100 litre pull out waste bin. The Fortishred 3250HS will shred a single sheet of A4 paper into approximately 15,000 particles, making it perfect for all high volume and high security requirements. 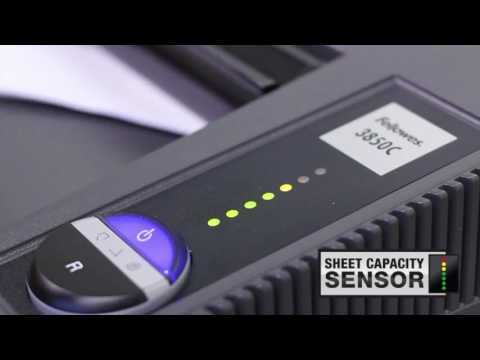 The use of a P-7 shredder such as the Fortishred 3250HS will aid your GDPR compliance.